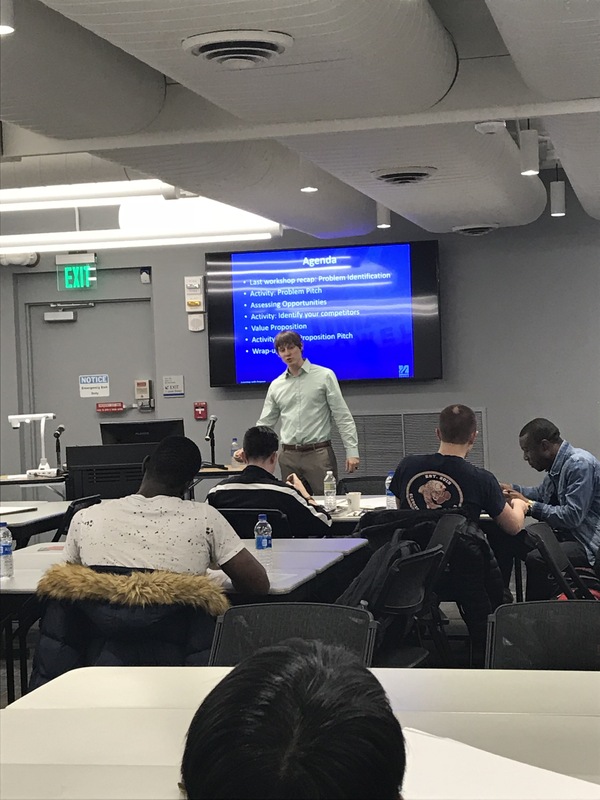 Our second series in our Workshop Series was held last night, February 22nd, in Lydon Library Room 110. From 5:30-7:30PM. The focus on this workshop was Assessing Opportunities and Value Propositions. 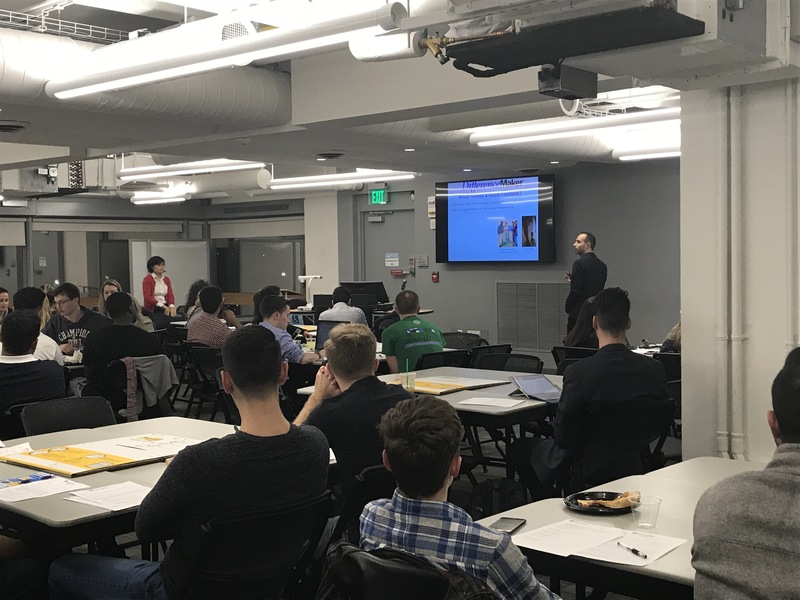 Students learned more about assessing the opportunities related to their project, as well as their project’s value, all while enjoying some yummy baked potatoes! The workshop was led by Faculty Fellows Brent Shell, Zuckerberg College of Health Sciences, and Neil Shortland, FAHSS. Their presentations were filled with fun and kept us laughing! Brent presented on the opportunities surrounding each teams problem, while Neil tackled the value on each project. They each gave very unique perspectives. 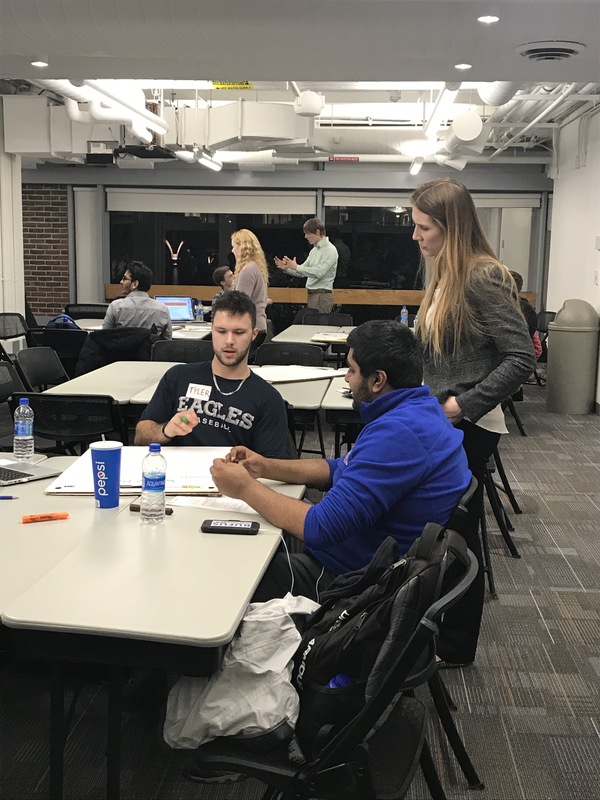 Students then went one by one giving examples of aspects of their project, such as target markets, and establishing a need in solving their problem. They really sold their problems and the need for a solution. Our Workshop series kicked off yesterday, starting with Identifying Problems. This workshop was focused on identifying problems that you’re passionate about solving. There was also the opportunity to meet potential teammates, and gain knowledge and experience to help you move your project forward! 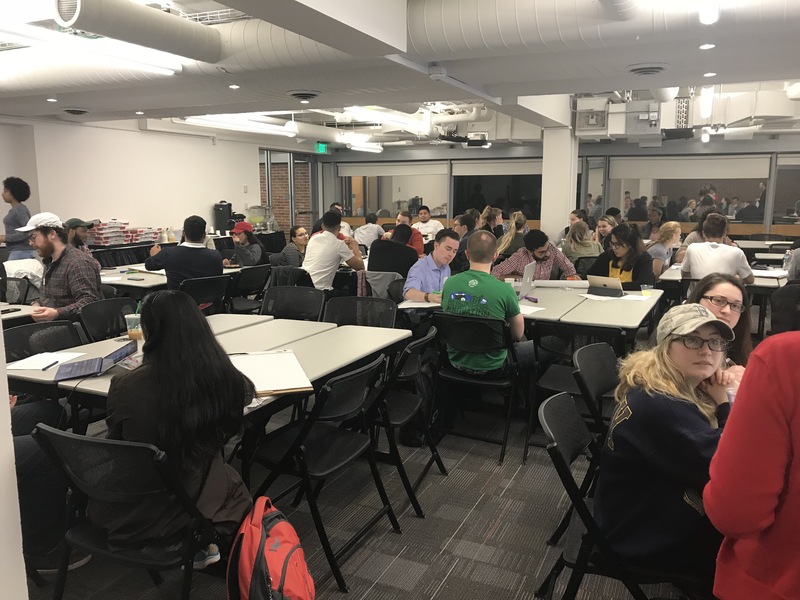 Over 40 individuals and teams met in Lydon Library, Room 110, at 5:30PM to brainstorm ideas and identify the problems, big or small, that they wanted to solve in the world! Lots of pizza and cookies were also served! Our Faculty Fellow, Mazen El Ghaziri, led the workshop and helped students formulate clear problems without diving into the solutions too early. Students were broken into groups periodically, and asked to present their problems to the group. There were so many unique ideas ranging from apps to find restaurants for people with dietary restrictions, to indestructible phones. We hope everyone can make them. Keep preparing for the Idea Challenge! 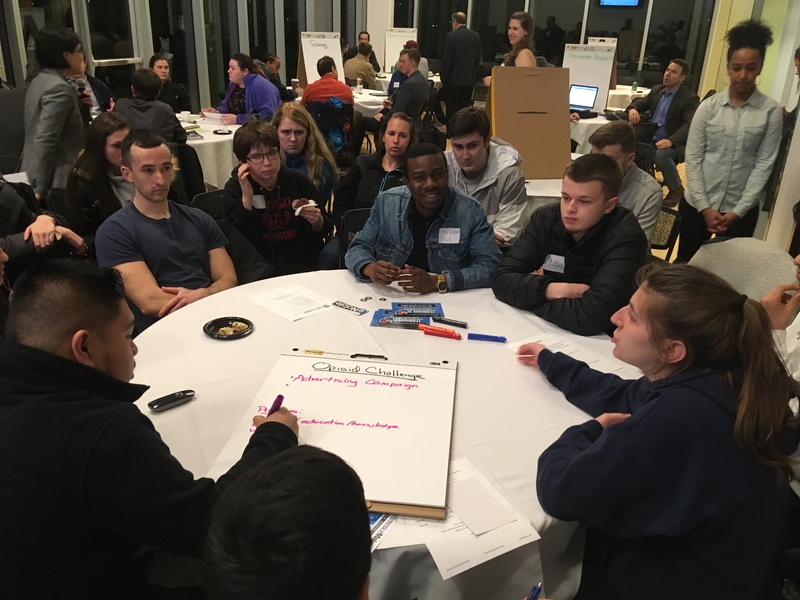 This past Monday, February 12th, after a snow storm and a rescheduling, we finally held our 2018 Idea Challenge Kick-off from 5:30 to 7PM in the Saab ETIC Atrium located on North Campus. There was a large array of food, and the night started with some light networking as everyone got set up. We had over 45+ students attending this event! Steve Tello, Vice Provost for Innovation and Workforce Development, started the event with an overview of the program and a brief explanation of this years Idea Challenge. Shortly after, a panel of students and alumni was lead by Neil Shortland, Director for the Center for Terrorism and Security Studies, and Assistant Professor. 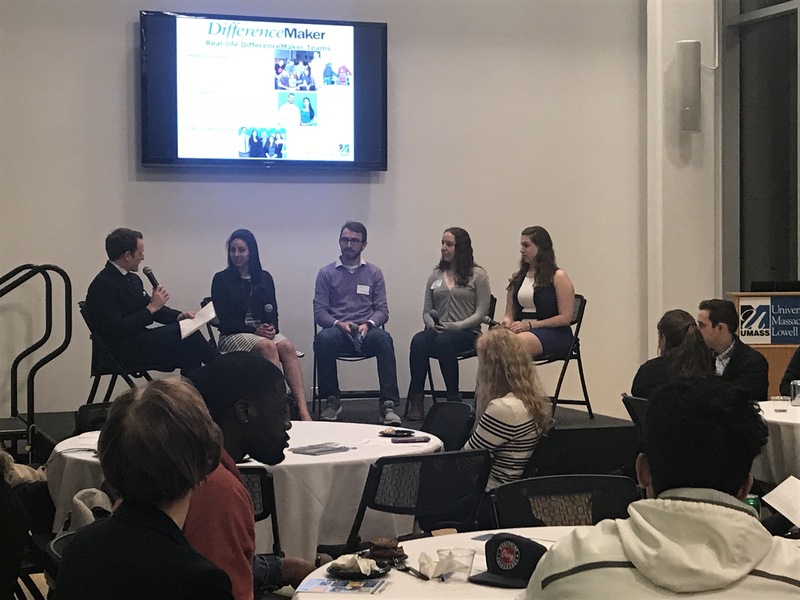 The panel included Rajia Abdelaziz from Invisawear, Craig Kelly & Julie Ballo with eNable, and Kierra Walsh with UML Green Roofs. They talked about their experiences with DifferenceMaker and how they were able to turn their ideas into a reality. To close the night, Ha Pho, Manager of DifferenceMaker led an Idea Hack. Students were asked to form groups based on their ideas. Some examples of categories were Social Responsibility, Opioid Challenge, Mobile Application, and Health and Wellness. Teams were asked to brainstorm problems related to their category, and then try and form a solution. One team member from each group would then describe their problem and solution! It was so exciting to see the students working together to come up with ideas, and having fun! We’re thankful to everyone who came, and we hoped some students will take their ideas and apply to the Idea Challenge. Applications close February 19th! 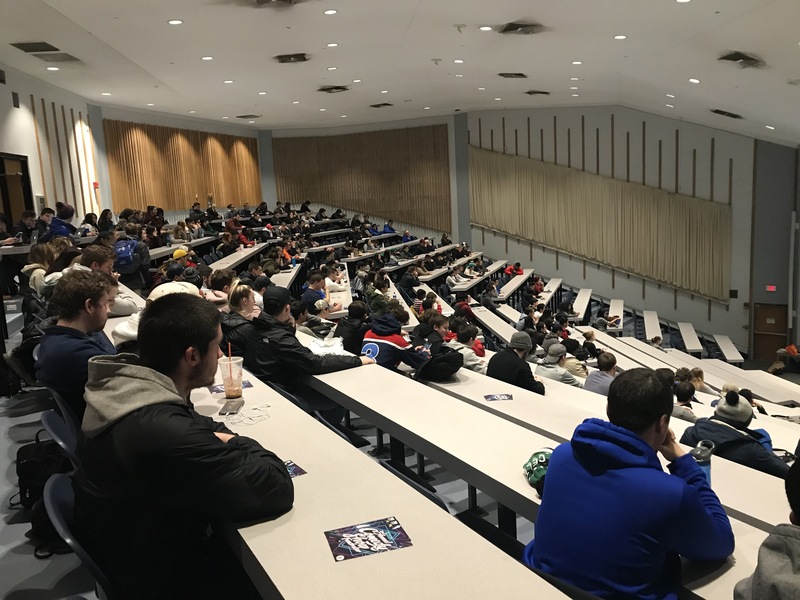 This past Friday, February 9th, we held our 2018 Freshman DifferenceMaker Seminar in Olney, room 150, on North Campus. 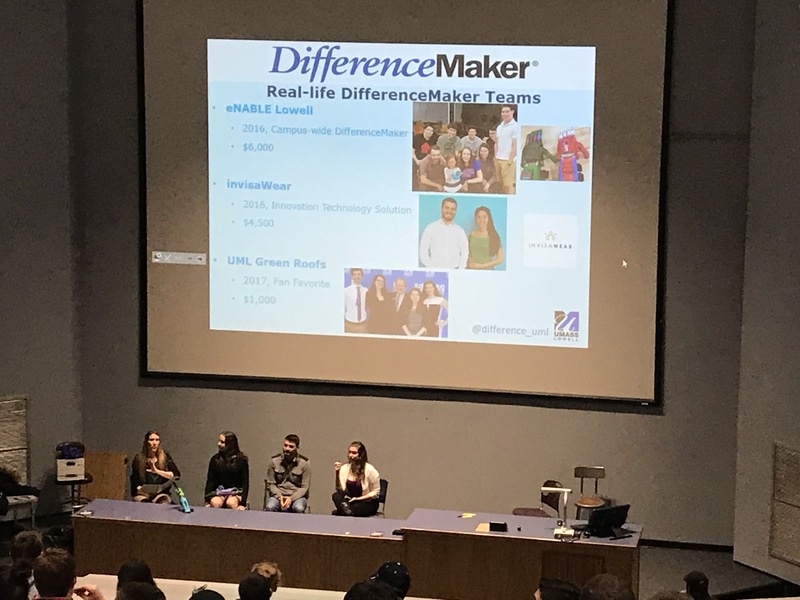 Freshman from different classes piled in to the big lecture hall to hear the experiences from three current and previous DifferenceMaker teams! We hope the seminar was resourceful, and we are excited to see people come to DifferenceMaker Central to share their ideas with us! eNables 2nd Annual Comedy Show Fundraiser! 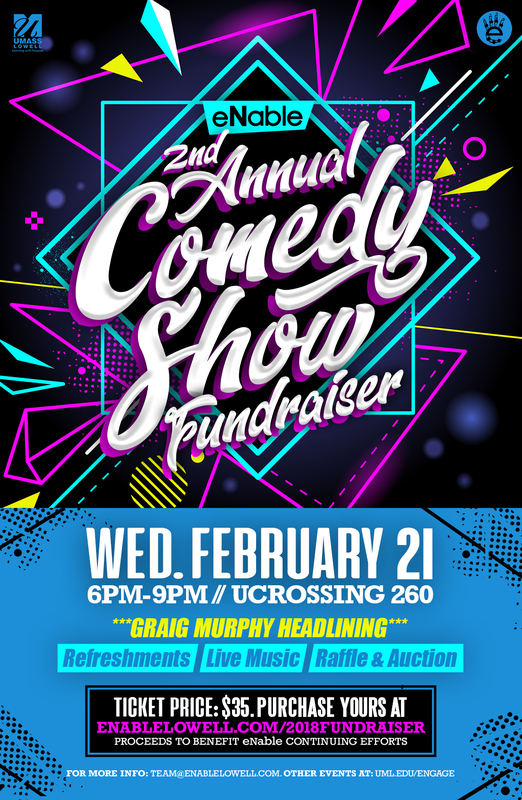 eNable is hosting their 2nd Annual Comedy Show Fundraiser at University Crossing, Moloney Hall, on February 21st, from 6-9 PM! Come stop by to see comedian Graig Murphy headline. There will also be live music, auctions, raffles, and loads of food! You can’t miss out! They have also recently announced there will be tickets sold with a student discount, for only $20! You can email Team@eNableLowell.com to reserve your student ticket. Make sure to have your student ID handy. 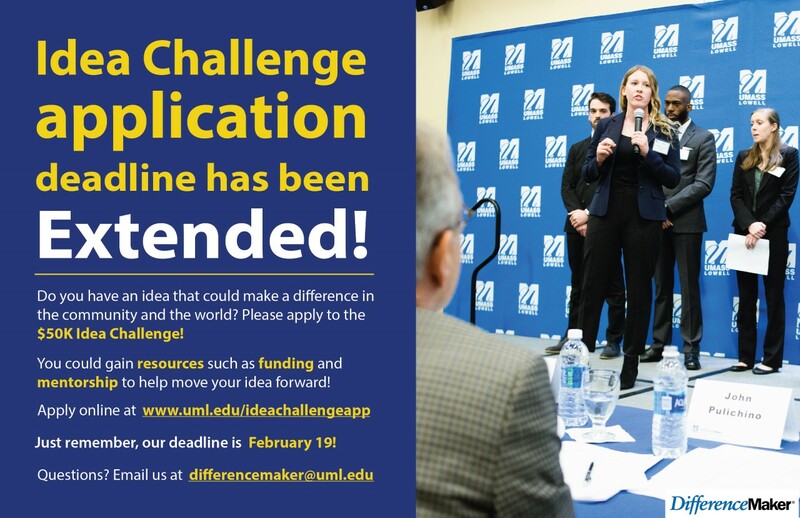 Due to the snow day on Feb. 7th, and the rescheduling of our other events, the application deadline for the Idea Challenge has been extended to February 19th, by 5P.M. Make sure to still attend our Kick-off event, now on February 12th in the Saab ETIC Atrium at 5:30P.M. Kickoff Idea Hack Rescheduled to Monday, Feb. 12th! Due to the snow day on Feb. 7th, the DifferenceMaker Kickoff Idea Hack will be RESCHEDULED to Monday, Feb. 12th. The location will be in the Saab ETIC on North Campus, and the event will take place from 5:30-7p.m. Come join us in kicking off our $50,000 Idea Challenge and Idea Hack! Stop by to hear from real DifferenceMaker students, and how they turned their ideas into success stories.